LAVERKIN — The Washington County Drug Task Force arrested a LaVerkin man Monday after discovering 2 pounds of marijuana and over 2 pounds of marijuana seeds in his laundry room. On Monday, members of the task force were investigating LaVerkin resident Juan Ortiz-Cornejo for possible drug activity. 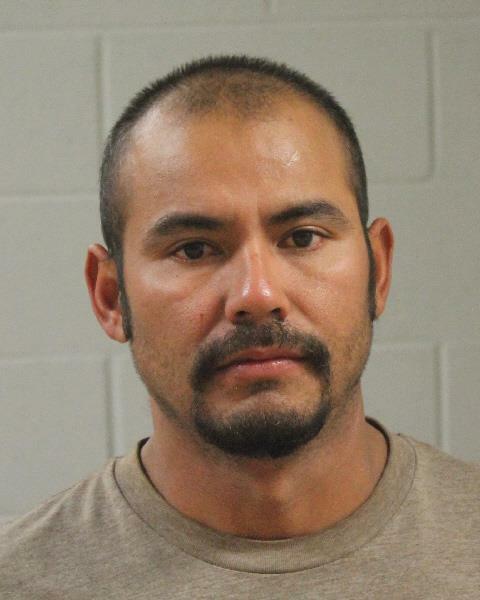 During their investigation, St. George Police Captain Kyle Whitehead said, the task force positively identified Ortiz-Cornejo leaving his residence. After he left the residence, police detained him while investigators executed a narcotics search warrant. While investigators spoke with Ortiz-Cornejo, Whitehead said, he admitted he had marijuana and marijuana seeds in the laundry room of his home. When police checked the laundry room, they discovered approximately 2 pounds of marijuana along with a large quantity of marijuana seeds inside a bucket. Marijuana seeds, Whitehead said, are, in most cases, used for cultivating and growing marijuana crops. The amount of marijuana found in the bucket is enough to be considered distributable. While being interviewed by police, Whitehead said, Ortiz-Cornejo said he was smoking the marijuana to help with back pain and that he had acquired both the marijuana and the marijuana seeds in California. According to a probable cause statement filed in support of the arrest, Ortiz-Cornejo also said he had a .45 caliber handgun in his bedroom. Police later discovered the weapon and added possession of the weapon to his list of charges, as Ortiz-Cornejo is a restricted person and not allowed to possess weapons. Though some states have legalized marijuana, Whitehead said he thinks there has not been a significant increase of marijuana-related cases locally. However, there are still a lot of local drug cases, Whitehead said. “We probably only touch a small fraction of it,” he said. Ortiz-Cornejo was arrested and booked into Washington County Purgatory Correctional Facility. He is charged with two third-degree felonies — one for possession of marijuana with the intent to distribute and one for possession of a handgun by a restricted person. Ortiz-Cornejo’s initial court appearance was originally scheduled for Tuesday but has been rescheduled for Thursday so a Spanish interpreter can be present. Ortiz-Cornejo’s bail for release stands at $15,000.